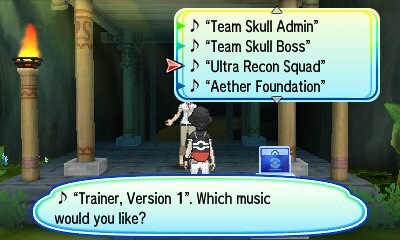 Like previous games, Pokémon Sun & Moon have got elements where you can customise the music for when you play. 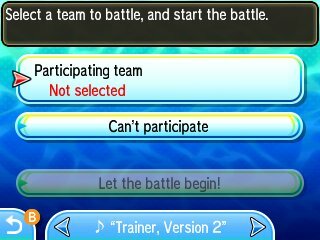 The Battle Tree also allows for you to change the music that plays when you battle in it. If you have it set to standard then it will just be the Trainer battle music. This will last until you change it back, but the Battle Tree Leader will override the music the first time you battle him. 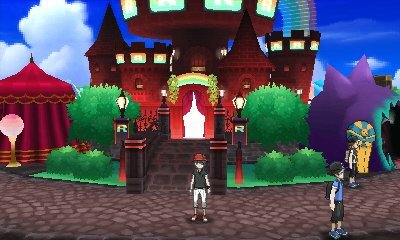 The Festival Plaza is a place where communication takes place, a s well as a location for various shops so you can upgrade your Pokémon or collect items. It's unique in that you rank it up as you participate in the activities within and when you reach Level 40, you have the ability to change the music that plays in your Plaza.